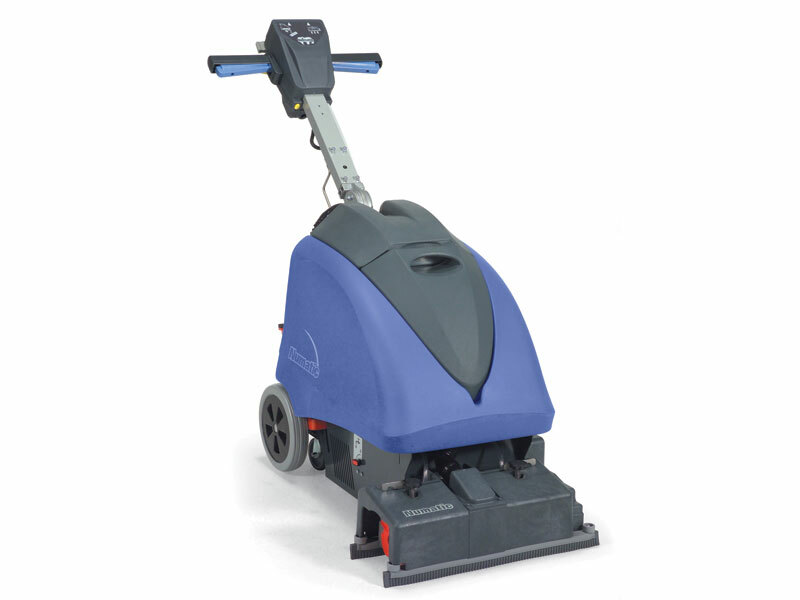 The Numatic Twintec TT-1535S Floor Scrubber Drier is a single operator dynamo of a floor cleaner and drier that cleans and dries smaller congested areas. 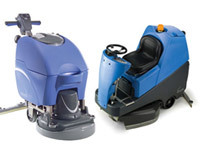 Small enough to clean under tables, but powerful enough to clean congested areas where dirt builds up fast, the TT-1535S has two suction nozzles that function in either forward or backward mode. The scrubbing head loosens and cleans, and the vacuum feature picks up what is cleaned up, leaving the area cleaned and suctioned to where it can air dry quickly. With its polyform tanks for both clean and dirty water, the TT-1535S is easy to empty and fill, making it the ideal machine for many areas. This full-featured machine also has an overfill shutoff protection to keep it from overflowing. 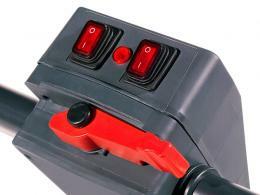 Its operator handle is completely adjustable, and its wheels are non-marking. The cylinder brush power head scrubs gently, but deeply into carpets to remove even the most stubborn dirt. 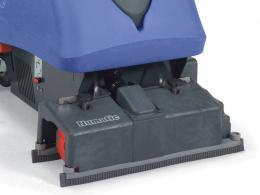 For a single operator smaller floor scrubber, the TT-1535S has an impressive cleaning range of 42 metres. The smaller size of the TT-1535S Flo Scrubber Drier makes it very versatile for use by janitorial firms, in-house janitorial staff, and anyone who needs to control spills. It can be easily housed in a janitorial closet where it is accessible by all of the employees.